I returned home at from a job interview at lunchtime today to discover a large box waiting for me. 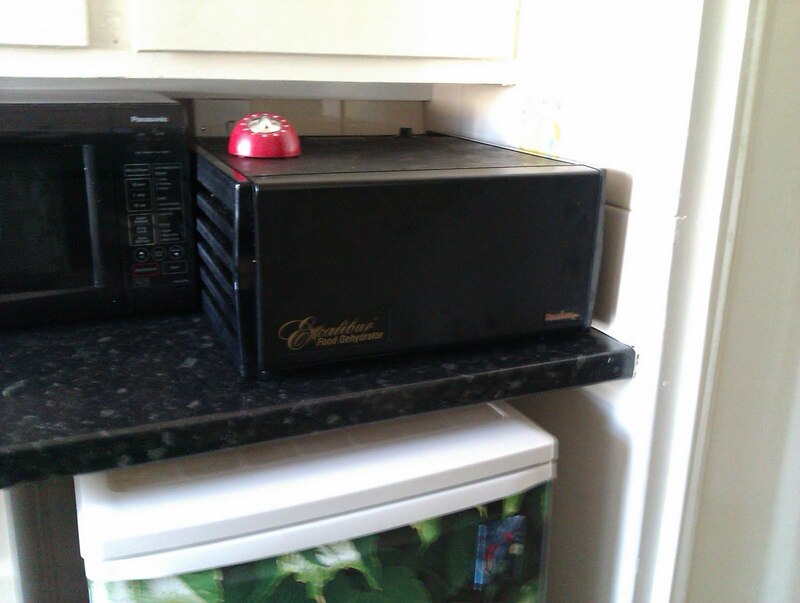 My new dehydrator had arrived! I bought an Excalibur which, according to all the reviews I’ve read, seemed to come out top for reliability and ease of use. I only have room for a 5 tray, but hopefully that will be big enough. I’ve named her Callie, (all my appliances have names!) Unfortunately she has to sit next to the (mostly unused) microwave, which I call Stinky Meat Monster because the previous owner cooked a lot of steaks in it! Anyway, Callie is great. The design is very straightforward; just a metal box with slots in the sides to fit the five trays. 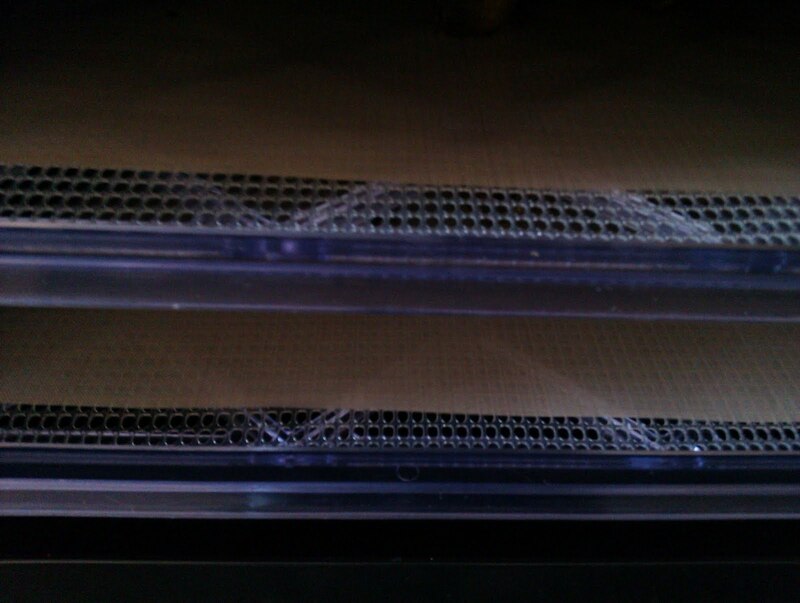 The fan in the back dries the food fairly evenly, but anyways it’s easy to remove the trays and turn them round. they’re square! 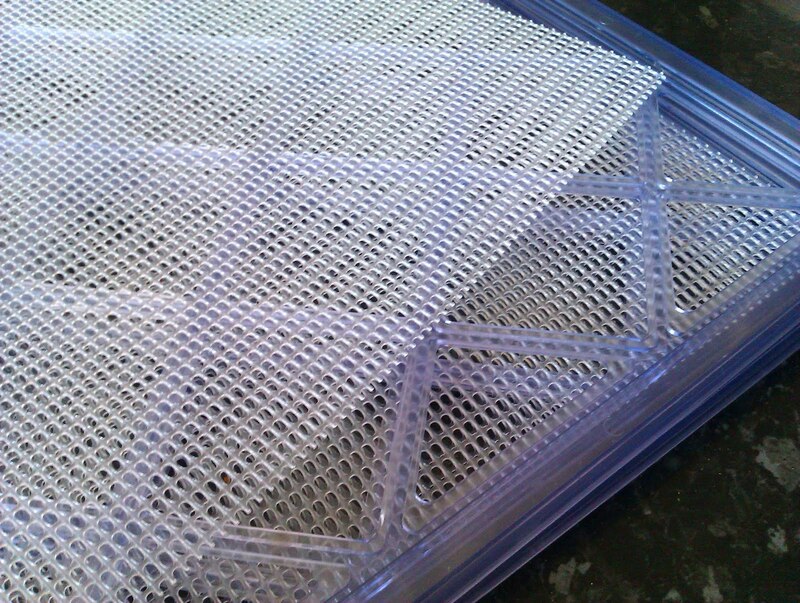 Each tray is a moulded plastic frame with a plastic mesh which fits neatly on top. It’s easy to clean and the front lifts off to make for beter access to the food. I bough the dehydrator on eBay. It was new, never used and I got it for a much better price that if I had gone to an online shop, so I’m pleased (although my overdraft doesn’t agree with me!). I also bought some teflon sheets from Raw Living so that I can make cakes and crackers! Remove the stalks from the Kale, cutting away as much of the tough stuff as possible. Mix all the ingredients in a large bowl, massaging the marinade into the kale leaves. 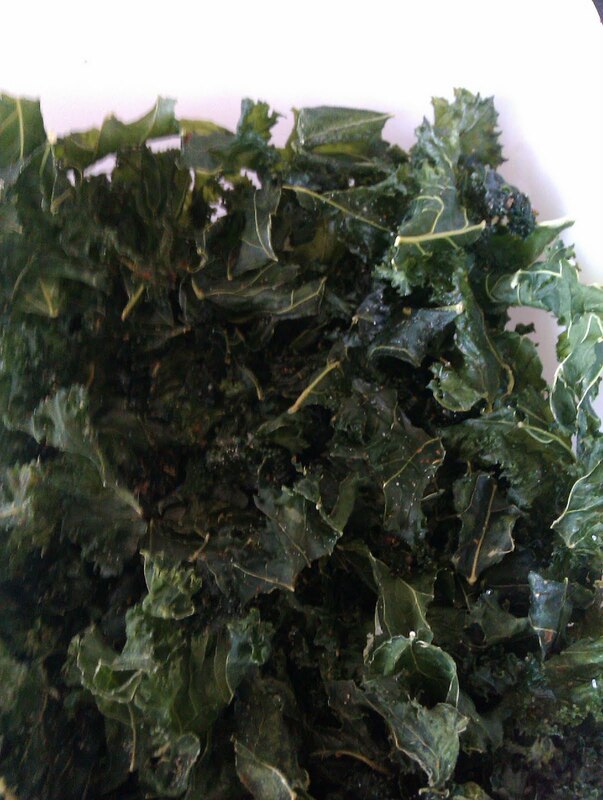 Spread onto dehydrator trays (use teflon sheets if you prefer) and dehydrate on 105˚F for 5-12 hours. 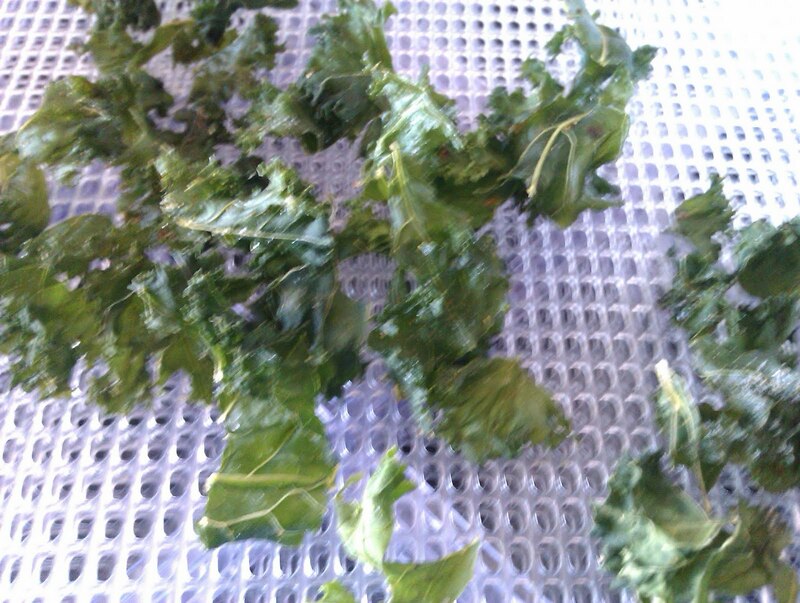 With Kale Chips, if you dehydrate them for longer, they will be more crispy; if for less, they’ll be chewier. Either way they are yum! I personally prefer them a bit chewy, with lots of marinade on, but that’s me!